I'm a Stallone guy. I've always loved anything he's in. I just think the guy is super charismatic and a greater actor than maybe he's given credit for. 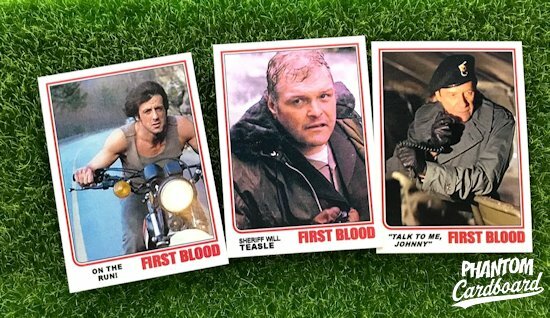 My favorite Sly flick of them all is easily First Blood. 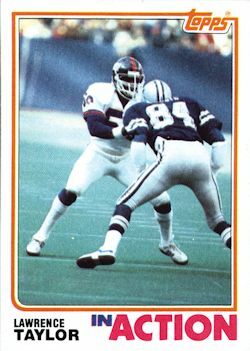 I chose to modify the "In Action" subset from the 1982 Topps football set for my First Blood cards. When making a set of cards I'm really only limited by the number of quality images I can find off of line. This set goes nine cards. 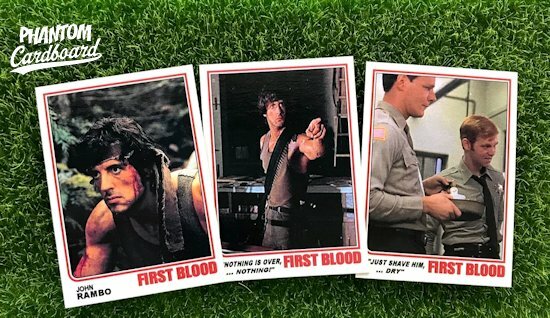 There's a few other scenes I would have loved to have cards of if images would have been available, but I feel like I got some of the more memorable parts of the movie on cardboard. So successful, this. 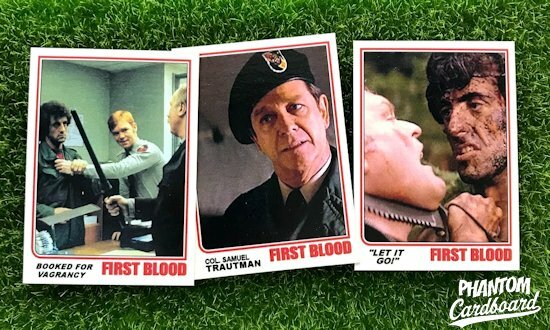 Really looks like a Topps "test set." Awesome! Thanks!! It's definitely a mini-set I would show as an example to someone who was unfamiliar with the cards I make.